A trial team might reasonably start a meeting with their litigation graphics consultants by saying, “We’re looking to you to help us design the best litigation graphics possible for this case.” It's a reasonable sounding goal to be sure. But what does it mean really? 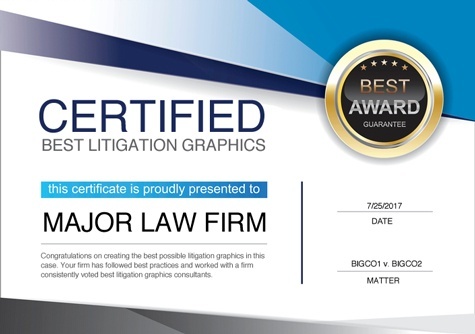 The Best Deliver the Best: You might want to ensure you're getting the best litigation graphics by working with a firm that has been voted best litigation graphics consultants. A2L has won this accolade many times.